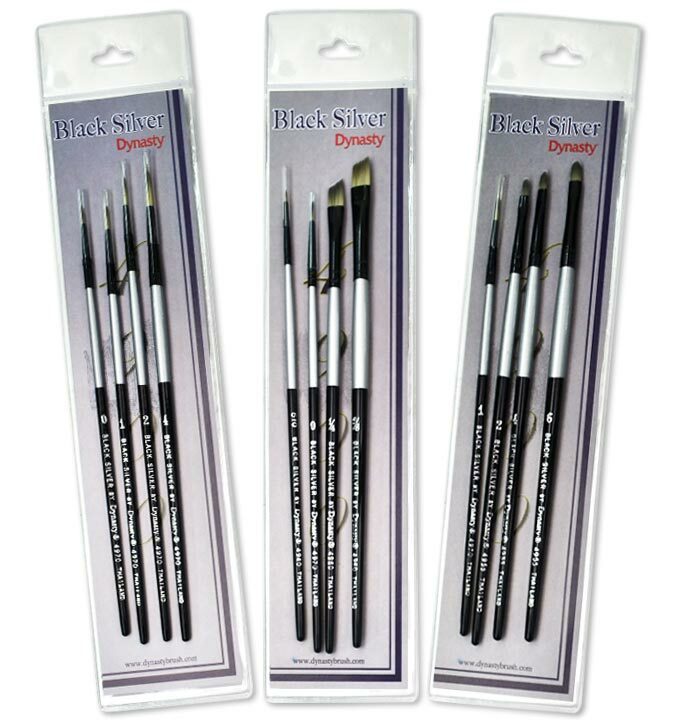 Dynasty’s short handle Black Silver brushes are versatile, affordable, and elegant for all artists. The silver blended synthetic, black ferrules, and two-toned black and silver handles offer the artisan an appealing brush with maximum comfort. 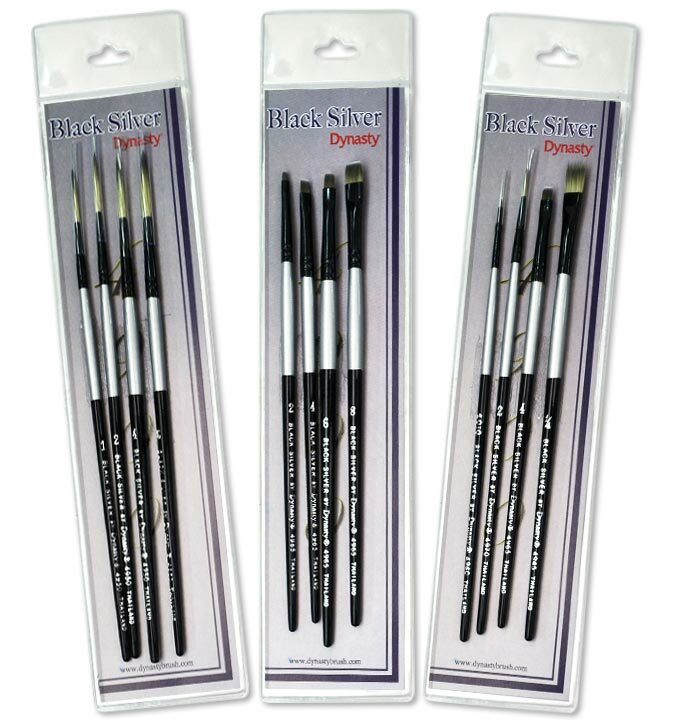 Black Silver brushes are made from a proprietary mix of synthetics that maintain chisel and point while holding the pigment of any medium with its sizable reservoir. Black Silver is a quality brush for a student’s budget.